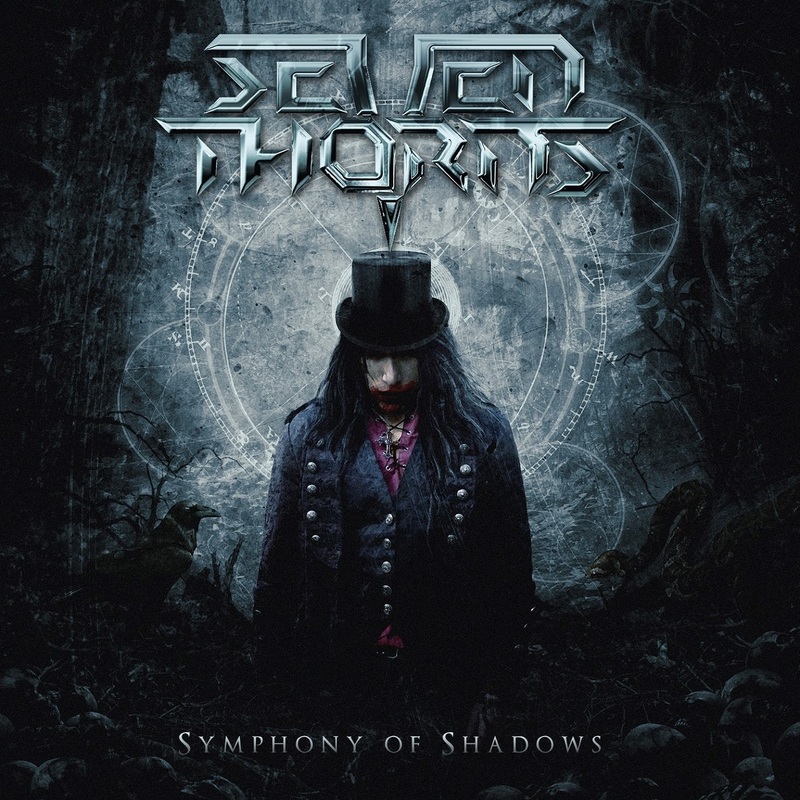 Symphony of Shadows, the third full-length release from Seven Thorns, is like a mixed drink of dark, symphonic power metal. With haunting vocal melodies, lyrics about madness, evil and strength, crushing guitars and intricate keyboard arrangements, the Danish quintet seems well-versed in the genre’s recipes, while adding some of the band’s own flavor. Singer Björn Asking’s voice is reminiscent of legendary frontman Ozzy Osbourne during the famous metalist’s stronger latter-day outings. Think 2010’s Scream. But Asking’s wider range is demonstrated throughout Symphony. Meanwhile, the comparison and homage are unmistakable, especially on “Black Fortress,” when during the chorus, Asking loudly warns that there’s “no rest for the wicked.” And with the orchestrations, backing keyboards and progressive-style time signature changes in nearly every song, finding similarities to Stratovarius and Rage’s albums with the Lingua Mortis Orchestra are appropriate and complimentary. “Beneath a Crescent Moon” opens with an Eastern, sitar-based riff laced throughout the song. The band is joined by female vocalist Alyzee, adding to the music’s worldly feel and making the cut one of the standout tracks. Faster-paced songs like “Last Goodbye” and “Castaway” burst with energy in front of a wall of sound. 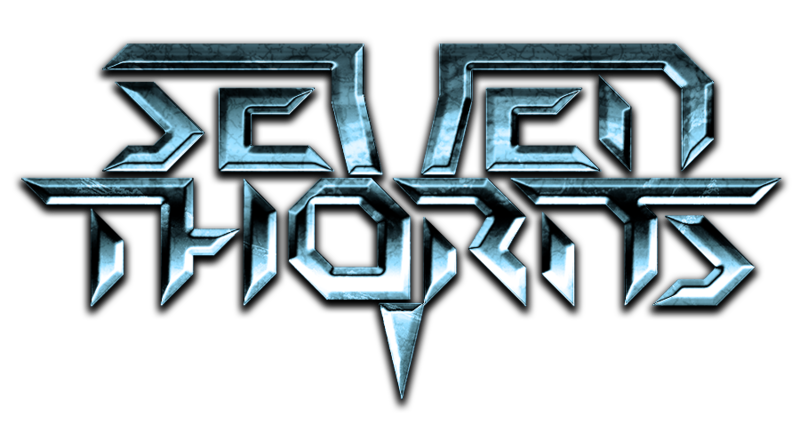 The album opener and first single, “Evil Within,” is equally intense by way of brief orchestral interludes and mystical themes, a Seven Thorns’ strongpoint. The band embraces these classical music elements and lets them play out, providing more personality each time around. With dramatic instrumentation and heavy melodies, “Shadows Prelude” sets the tone for the operatic epic title track. Grandiose, neo-classical guitar licks, dual solos, double-bass drumming and Asking’s voiced detailing is a fitting finale to a stellar, albeit dark, outing.